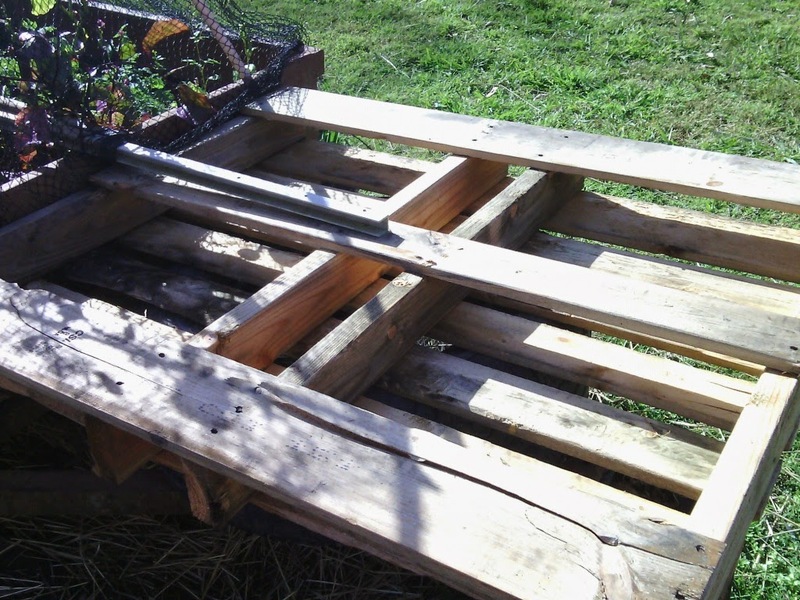 This time it was an old pallet. My partner installs stand alone solar systems so he occasionally brings home a pallet that has been used to transport panels or batteries. They are usually used as fire starters (being made of pine they burn fast and hot). I had cleaned out the trailer bed ready to be planted with more green pick for salads and stir fries, and was thinking I need more space for lettuce and baby spinach when I wandered past the ‘to burn’ pile and saw the pallet. I propped it up with a stack of old tyres to be level with the trailer bed. Lined the bottom and up the sides with black plastic from the ‘take to the dump please’ pile and stapled it in place. 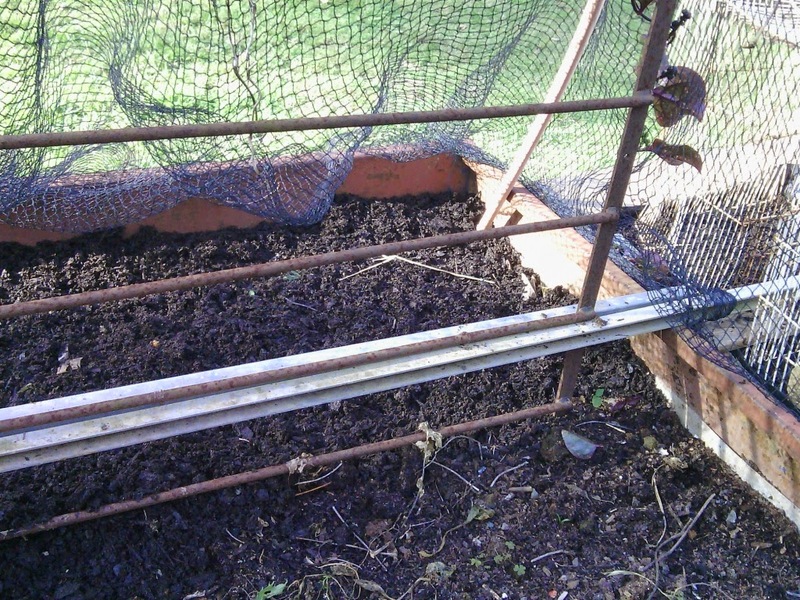 Filed the lot up with soil, potting mix and compost and poked a lot of holes in the bottom. 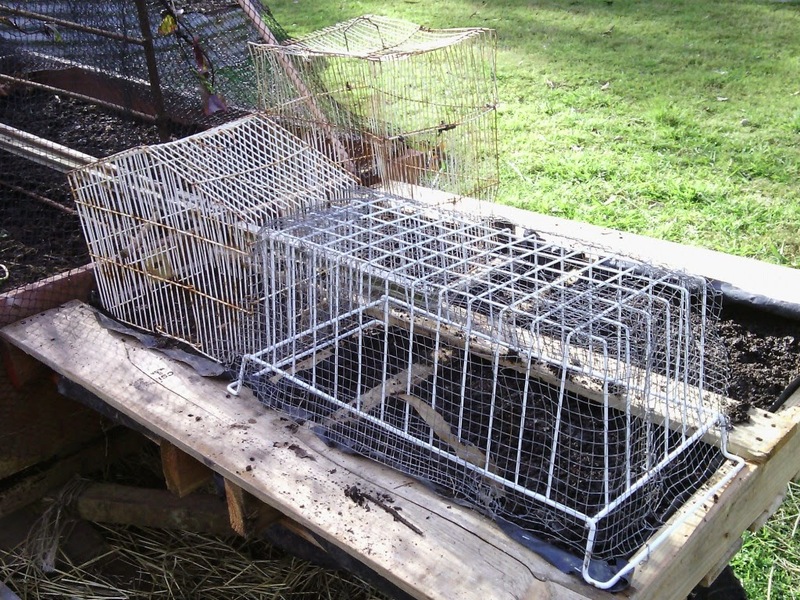 There it is; complete with bird cage covers to keep the chooks out of the lettuce. The trailer bed is all cleared and ready for planting too. 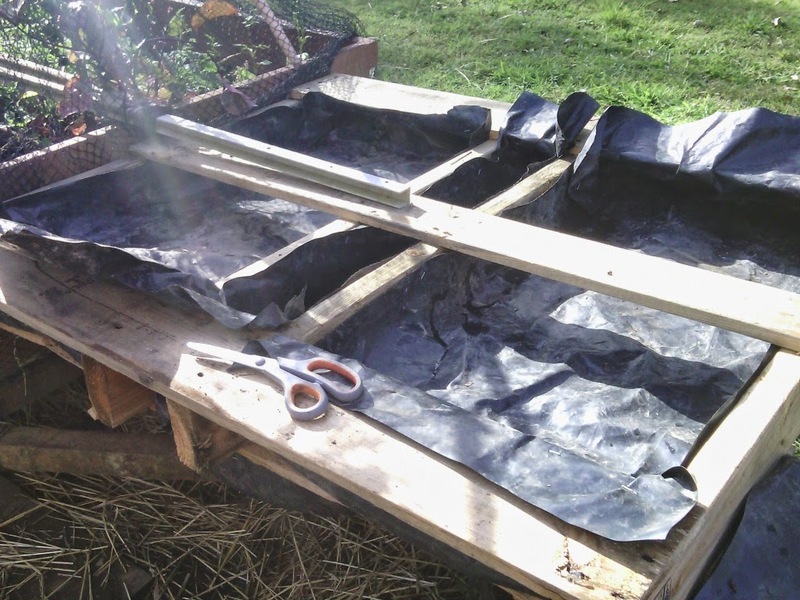 The pallet bed is very shallow (about 10 cm) so it will be hard to grow anything but lettuce or baby spinach in it, but if the soil is rich enough and it doesn’t dry out it should do the job. Being made out of pine the whole thing will only last a year or two, but it re-uses something from my rubbish pile and makes a useful short term bed so I’m happy. 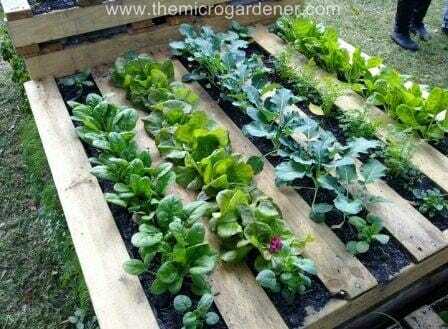 Using pallets for gardens isn’t really unknown; I found these examples on the internet. I guess I will be using more of the old pallets that make it home from now on. What do you upcycle at your place?